Discussion in 'SSII' started by 1977 SS Deuce, Apr 9, 2019. Hi guys. I am going to mount the side mirrors on my SS. Can someone post a few pics of where they get mounted on the windshield frame? And what you use to mount them? Thank you. I can take a couple photos tonight when I get home of the mount locations. 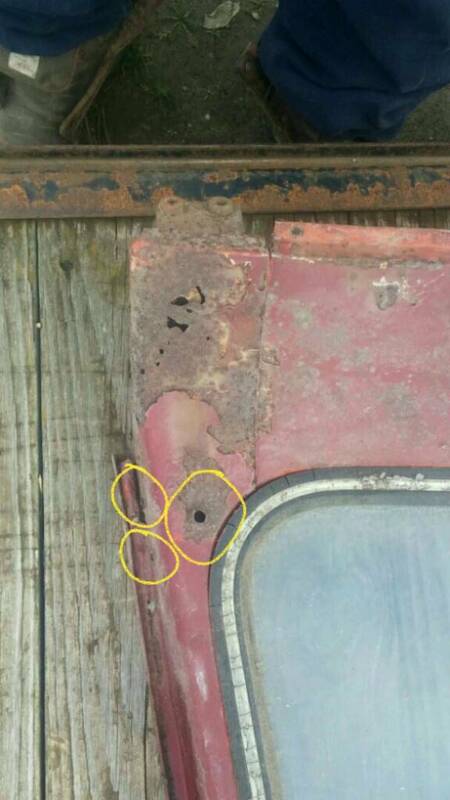 Pretty sure the originals were just screwed into the sheet metal. Usually a helping cause in the frames rotting out. I myself just bought a new set from Roedel Bros. And I am going to use aluminum nutserts for mine. Actually found a photo on my phone. Just have a driver side mirror on mine. Thanks guys. That's what I needed.